Let’s discuss one of the most influential and devastating projects ever initiated and committed by our military industrial complex. Operation Paperclip. At the end of the 2nd world war, which the Federal Reserve planned and incited, we were quite jealous of the technology that the Nazis had developed (not on their own of course, they had off-planet assistance) and you know America, we have to be number one! So we said HEY GUYS, we know you are Nazis and all but we would really like you to come over here and help make America a stronger force in the world. We will provide sanctuary for you, your buddies and your family. They, of course, agreed. And I might add that there were some Nazis that were CONVICTED at the Nuremberg trials and still made it over here. These guys went on to initiate NASA and held other high positions in our government. 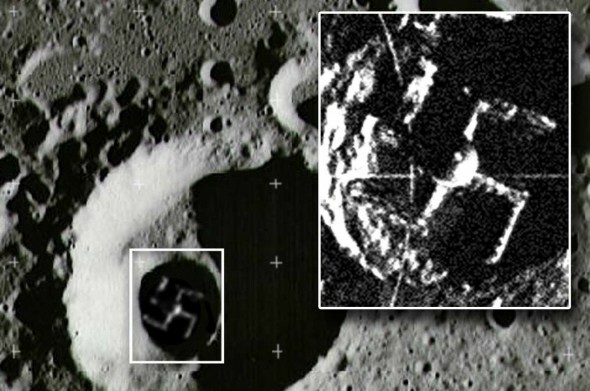 They went on to create the Nazi moon base. This woman Annie Jacobsen went and investigated everything there is to know about O.P. and published a book recently. Here is a video of her presenting what she dug up. It’s very disturbing, but realize that there has been for the last 40 years or so a terrestrial effort within our government and military to stop these guys and they just about succeeded. The alliance here is MASSIVE. But it’s interesting to become aware of how corrupt and reckless the members of our government have been in the past and, of course, now.